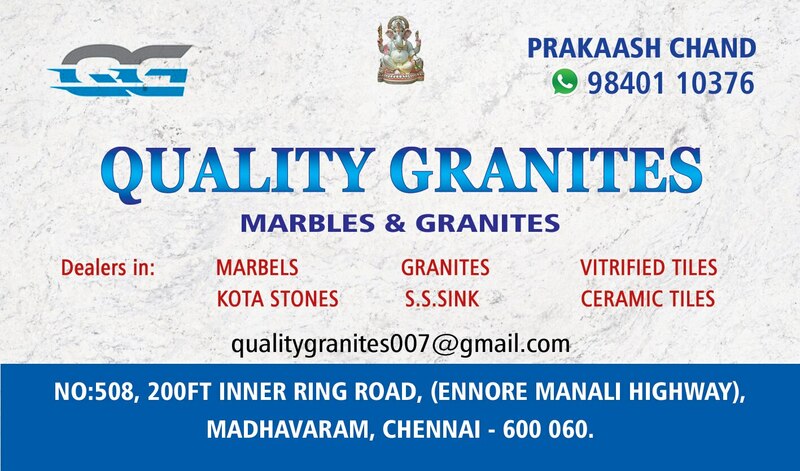 Marbles and Granites All types of marble work fitting, polish , etc done at affordable rates . Granite's All types of granite work done at reasonable rate. Granites All kinds of marble work done here. Marbles and Granites Any kind of design work in granites and marbles done here. Interior decorator We are doing all kinds of interior work . Interior decorator We do all types of interior work. Granite's We do all types of work in Marble and Granite s.
Marbles and Granite's We do all types of marble and granite s work.